Once you start the race of Dream Car Racing 2, you will be wondering why you didn’t know about this Racing video game earlier. Dream Car Racing 2 is the sequel to Dream Car Racing – the game that everyone talks about lately. In this game, there are multiple Locations from the Map that you can pick. The game allows you to start your game in Highlands at first. Before the race starts, you have to make up your own car using the design that the game offers. 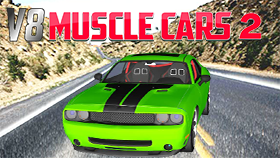 The title of the game points out that this game is all about a thing called ‘Dream Car’ and that’s why you will get to learn about your car before you get to the race. In the Car Design Task, you will see various options that you can make to your Car such as Shopping and Selling, Install and Upgrade. When it comes to the Race in Dream Car Racing 2, it’s up to you to accomplish the Race’s task. If you do, the game will reward you with multiple items that help you achieve more in the further progress. The playground of Dream Car Racing 2 is where you can catch up with multiple unique cars just like yours. Even though the game provides more elements than we think of a Racing video game, we still need to aim for the first place. Now let’s kick off the gameplay of Dream Car Racing 2! Follow the map at the bottom of the screen to catch up with the other players. Try the unblocked version for more good elements. 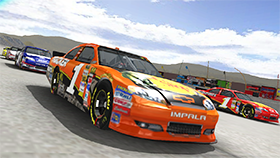 If you want to learn more about Dream Car Racing 2, you can check up on its unblocked version which is located at Freegames66.com. 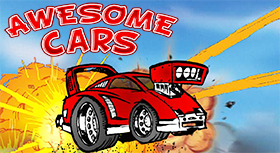 Freegames66.com is famous for being the place that contains tons of quality and challenging unblocked games like Dream Car Racing 2. Let’s find out!